Little man JUST started his Carrot and Squash purees. He turns 6 months in a few days. 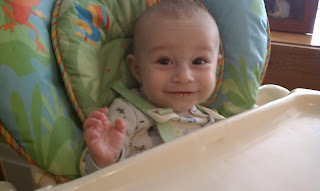 I can hardly believe we are already to the weaning milestone. Time sure flies! As an over-protective helicopter mom (YES, I admit it!) I want to make sure that his food is JUST perfect. I started by making some organic carrots and knew the Nuby Heat Safe Spoons would help me protect baby from being burned. I love how long and soft the grips are on these spoons. 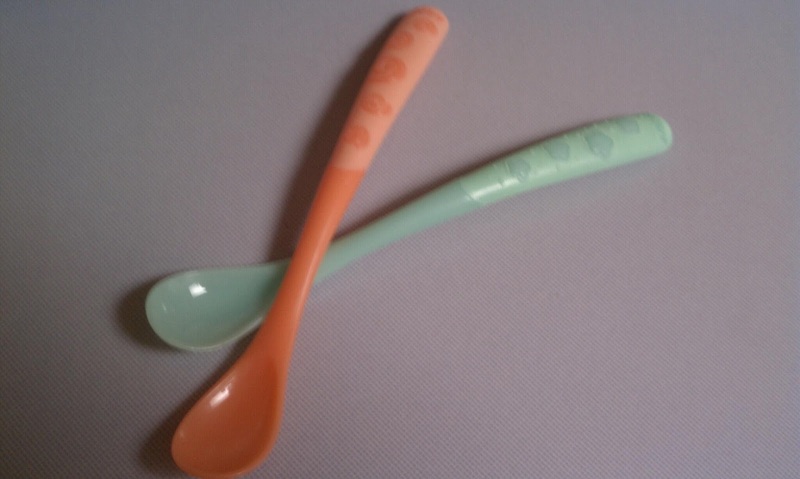 The colors are great and the tip of the spoons change color when food is too hot! HOW awesome!? These would be a great addition to any baby shower or kiddo gift, too. The spoons are light weight and let my little guy grip too! We just love them! I've shared my package with the sitter and she loves them too! I love that they change color! This would be great for my daughter's morning oatmeal.